Kala Art Institute is proud to present The Tatra Tassels by Noah Breuer at Milvia/ Addison Windows located at 2100 Milvia Street, Berkeley. In this window display, Berkeley native Noah Breuer presents recent prints and textiles from his ongoing project exploring the visual legacy of Carl Breuer and Sons (CB&S), his Jewish family’s former textile printing business, which was established in Bohemia in the late nineteenth century. In 1942, the CB&S company was lost as a result of a forced sale to Nazi Party members, a few members of the Breuer family fled Europe and settled in California, and those who remained were killed. After accessing a cache of CB&S material housed at the Czech Textile Museum in Česká Skalice in 2016, Noah used the swatch books and printed textiles he found there as a nucleus of primary source material and embarked on a reclamation project. 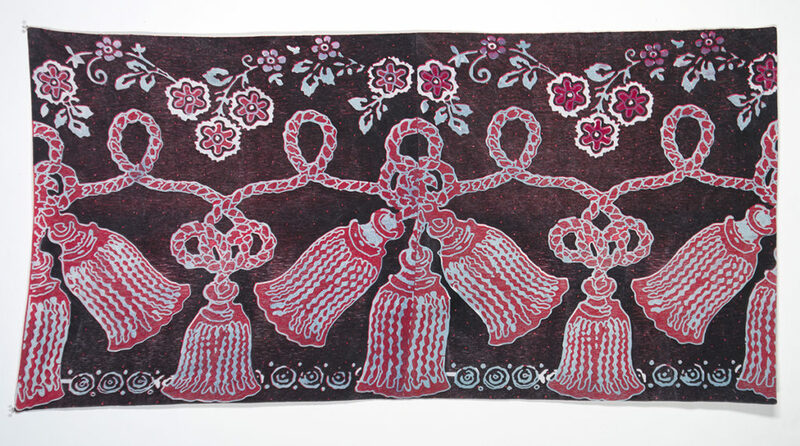 The textile works in this exhibit evince his formal interest in manipulating decorative motifs, his dedication to the craft of printmaking, and his sustained inquiry into the rhetorics of communication through print media. 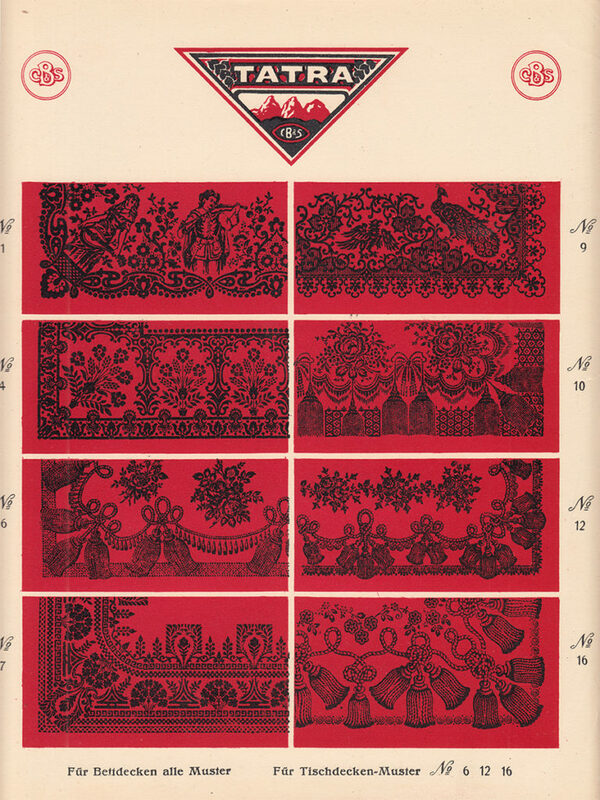 The textiles on display in these windows all reference the same design motif: a string of tassels from a branded line of CB&S printed fabrics called “Tatra.” (Tatra is the name of a mountain range which today lies on the border between Poland and Slovakia.) 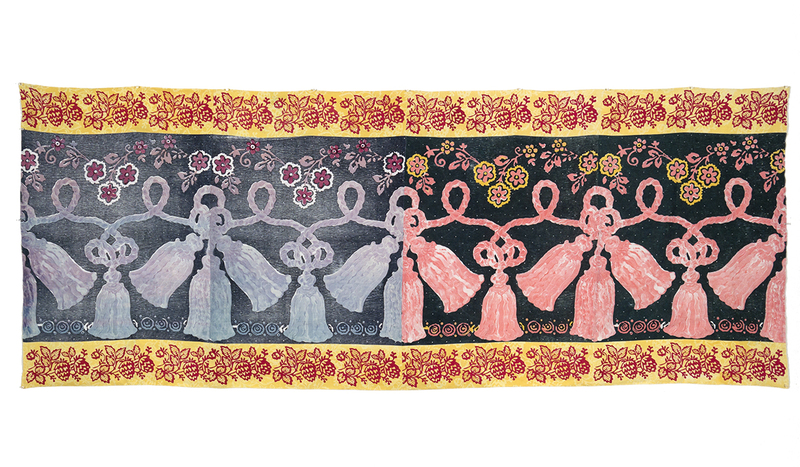 All three works use a combination of woodblock printing and ultra-violet reactive fabric dyes on silk and linen. The piece shown on Addison Street also incorporates screenprinting and a second CB&S design motif in the form of hops, a key ingredient in the brewing of beer. The image on the left is a reproduction of an original sample of the Tatra line from CB&S. Tassels were just one of the motifs on offer. The end product would take the form of an everyday textile for the home.